Highway St. Petersburg - Vyborg-Finland "Scandinavia"
The road between St. Petersburg and the Finnish border. 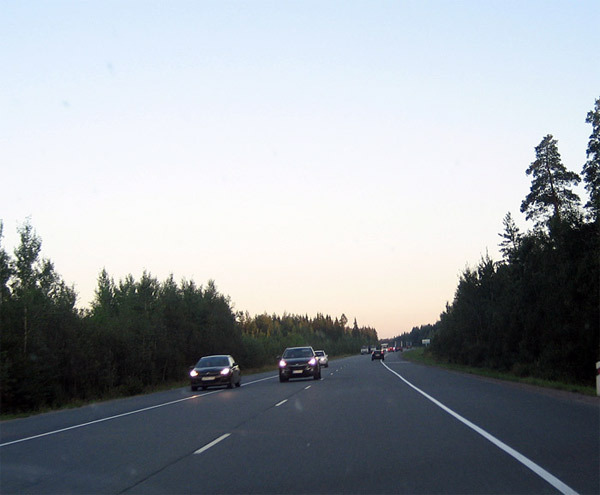 On this road is moving a large number of cars and trucks following in Finland and from Finland. On this road happens a large number of accidents. In the future, travel on this road will be paid. Photo 2012.